I transferred from Japanese telecom carrier Softbank to au, to use an iPhone. But the white iPhone 6’s screen has a dark bar on the top of it. 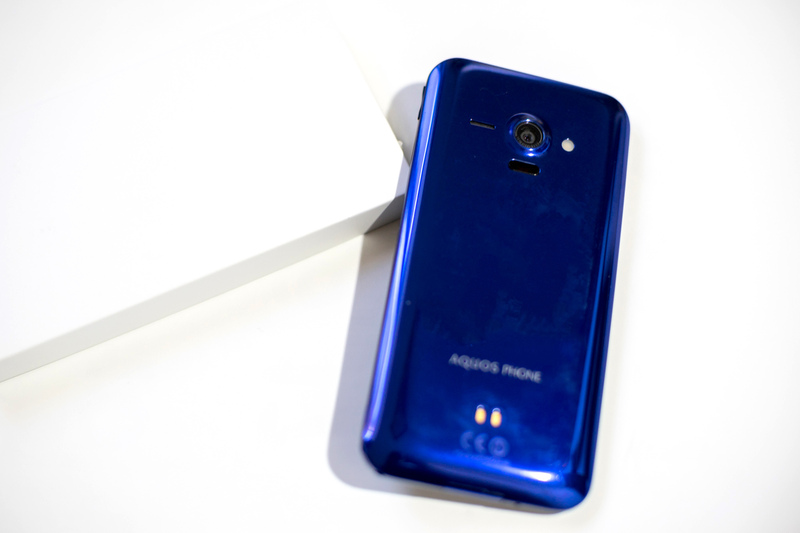 For repairing time usage, au gave me the AQUOS SHL22, a smartphone made by Sharp, a chance to test a new phone, why not. 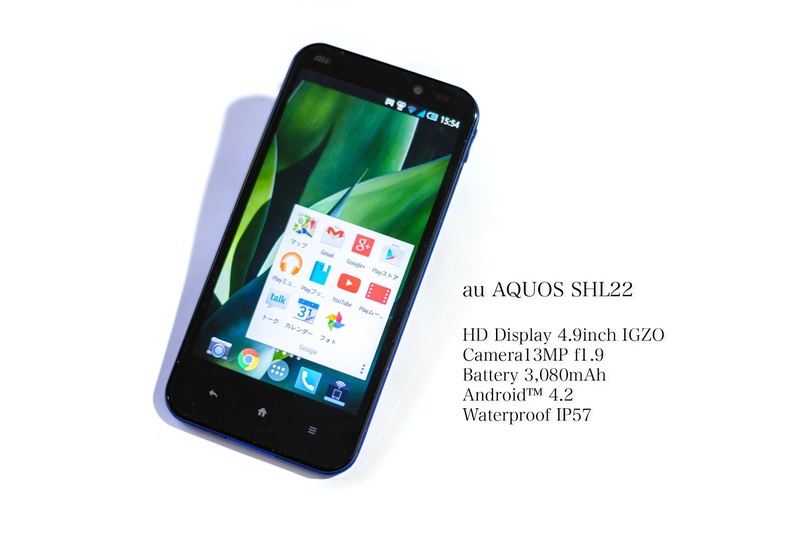 The AQUOS SHL22 is a water proof smartphone, It a pleasure to see that. A lot of Android phone in Japan are water proof, some of them even can dive into water of minutes. 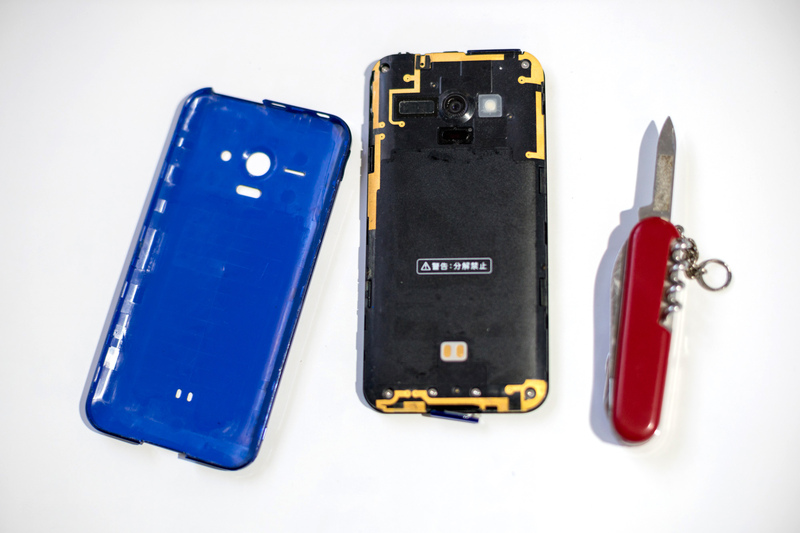 Viewing from top of the SHL22, a headphone jacket and a SIM card & Micro-SD card slot. However, surprisingly, the power bottom is on the center of the top of the phone. Easy to imagine that it will be hard to push it. On the right side of the SHL22, very upside of the body are the volume up and down bottom. I couldn’t understand why the Sharp designers chose this position to put the only 3 bottoms in this phone. But after a while of using it, I think it is Okay, alright, obviously not perfect. By the way, nothing is on the opposite left side, so no photos of it. The back side of the SHL22 is beatiful, in my opinion. Everything is putted on a right position. Although the camera pops out from the body cell. Although the surface can collect all your fingerprints. Since that’s all about the outlook, the inner software is running Android 4.2.2, which is old and Sharp did not will not upgrade it. 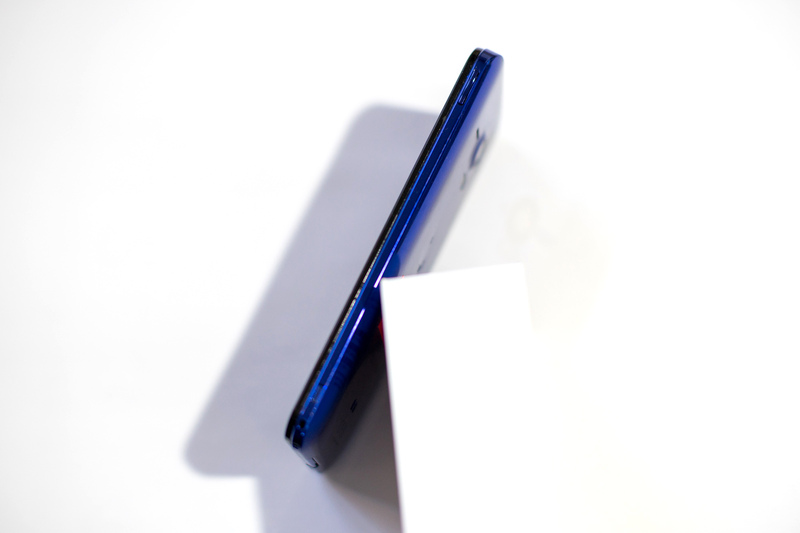 The screen is 5 inch 1280×720 HD with IGZO, which should be bright and friendly to battery. In my real experience, the screen is bright enough, but lack of contrast, color performance and the dynamic range is poor, gamma is too high which often leads the bright parts to blow out. A over all review of the SHL22, I think, 3 of 5. Because of the phone is just a rental one, I tested some bad ways. To disassemble to back cell of the SHL22 is not so difficult, a Swiss knife is far enough. The outer shell is made of a piece of plastic, though it shines a chrome painting. 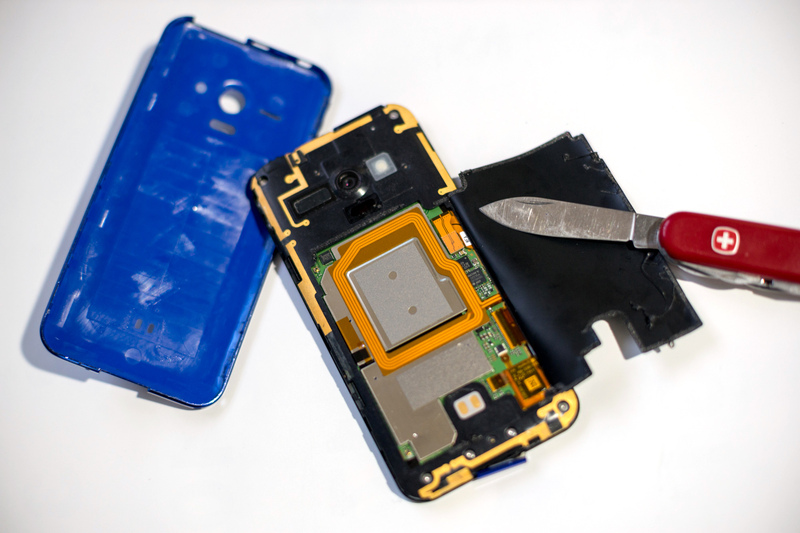 To keep the water proof function, acutely the inner of the phone is a whole perfect functional phone. Obviously this kind of design brings the separability but lost the compact body at the same time. Further cell-open began the show of the inner parts. The impression of the SHL22 inner body is the nice quality. However honestly, It seems a little bit of out of the time. I am not a pro for this part, and my disassembling is over here, but besides the quality, I only saw the gape between Sharp and other first class maker, like Apple. My test will not stop on the disassemble. As you can see, already many scratch on the screen surface, most of them are from daily usage I believe. 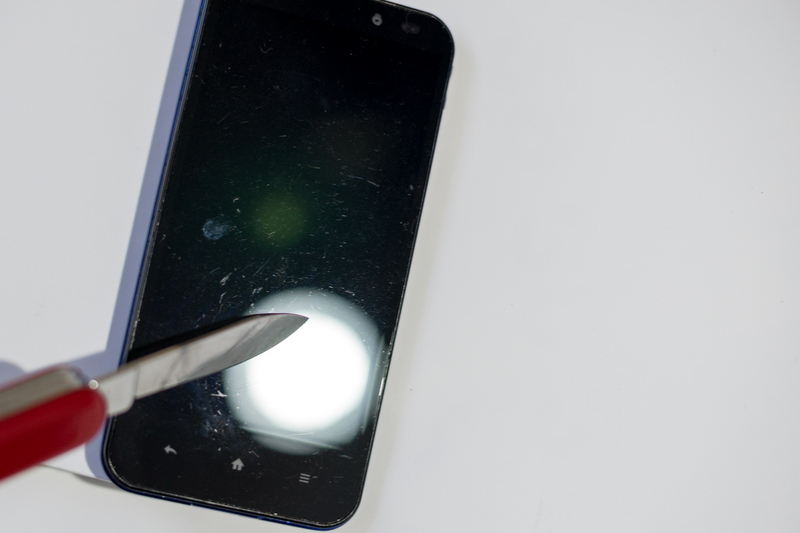 Can the Swiss knife can hurt the screen? 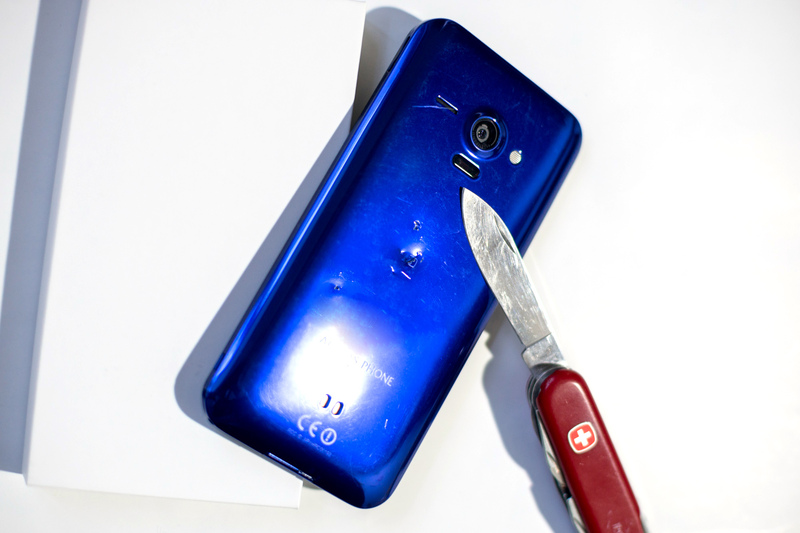 I think a knife scratch is not able to hurt any Gorilla Glass if the reviews on the internet are true. 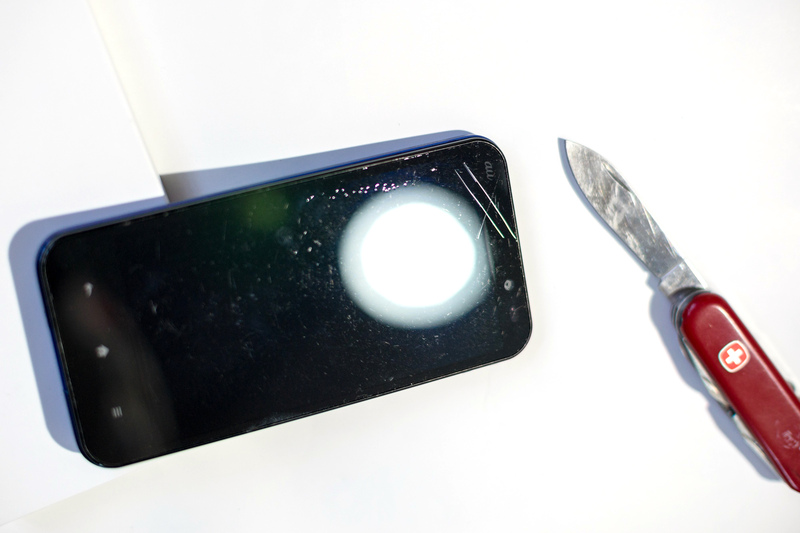 With a not strong scratch, the normal Swiss knife cut a deep wound on the top of the screen surface. I avoided the display screen part of the front panel and the metrical of them are same. It is a poor performance, since the knife is not so fast and the force I put on it is so sight. As a result, a key in the pocket can destroy the screen. I can not believe that SHL22 is a Sharp flagship smartphone of 2013. Finally the back shell, it looks like a metal in my first glance. But it has already some holes on it which made by the users before. I did not try to brake it one more time, I knew it is plastic, and it should brake. A overall review of the SHL22 body quality, not a level of a flagship I think. Maybe a chinese maker, like Xiaomi, Meizu, can easily win the manufacture quality compassion. 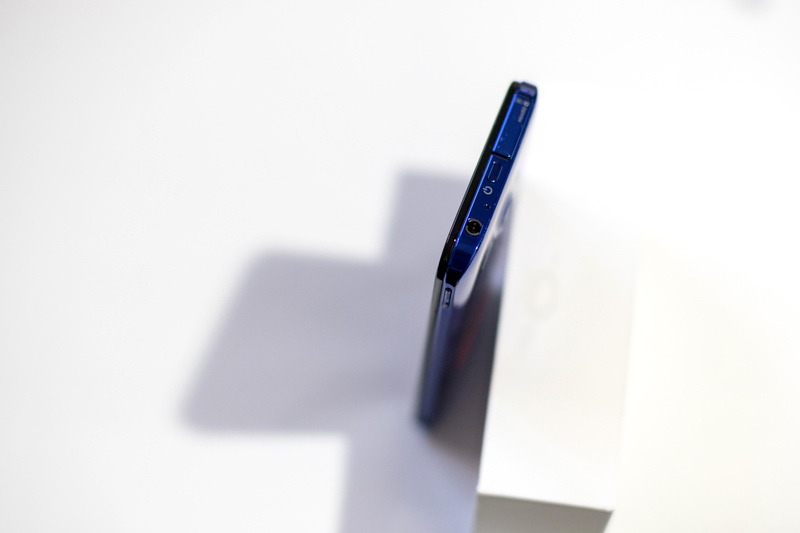 It is really a sadness talk of Japanese smartphone makers.